Super Bowl 50 is nearly upon us, and the excitement over the game is palpable. One of the best parts of Super Bowl Sunday is the Puppy Bowl, featuring very cute, adoptable pups. 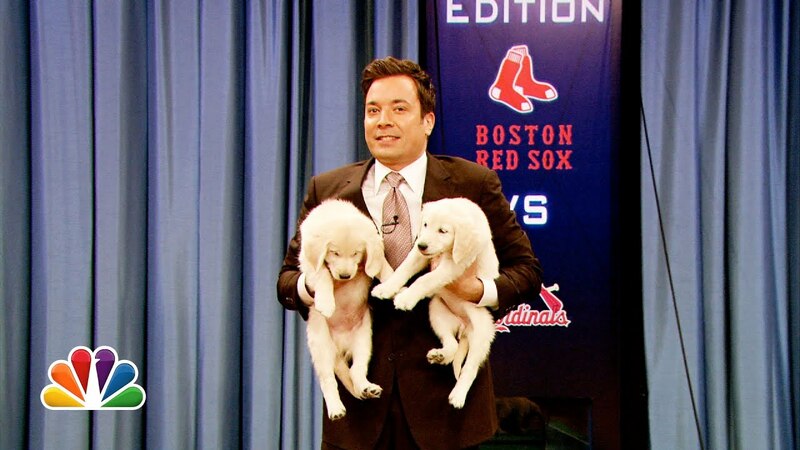 The Tonight Show With Jimmy Fallon gives us a solid sneak peek at the puppy action, as he has a handful of doggies pick the Super Bowl winner based on which bowl they eat out of. Will the Denver Broncos surprise the heavily favored Carolina Panthers? You'll just have to tune in to find out.